Over the course of the next two weeks I will try to reduce my unwatched movie pile. 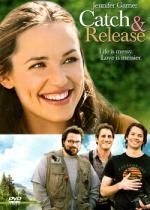 After the death of her fiancé, Gray (Jennifer Garner) moves in with her late love's best friends. While Sam (Kevin Smith) and Dennis (Sam Jaeger) do their best to cheer Gray up, Fritz (Timothy Olyphant) doesn't seem to care. Once Gray breaks through Fritz's defenses, however, she finally sees why her fiancé thought so highly of him. As they spend more time together, Gray learns that her chances for love have not died out with her fiancé. But when some surprise guests show up on their doorstep, it'll take the love of all of her new friends to help Gray learn that life may be messy, but love is messier. Off to a bad start. This movie is a complete bore-fest. I bought it blind because Kevin Smith is in it. But he could not save this movie. Thanks for the warning... I was going to eventually get this one because I am a huge fan of Jennifer Garner... ever since I first saw her on Alias. Miss Katz (Zooey Deschanel) desperately wants her boyfriend to ditch his dead-end job at Flakes--a bohemian cereal shop. So when an eager young businessman opens a rip-off version of this beloved neighborhood hang, Miss Katz joins the competition to bury Flakes. Stand-offs, sit-ins, pranks and clever revenge will result in victory for one half of the feisty couple, but it may just leave their relationship all soggy! Another movie I am disappointed in. I bought it, because I am a fan of Zooey Deschanel and Christopher Lloyd. The movie feels like a Clerks ripoff without the witty dialog. Christopher Lloyd plays essentially his Taxi character. "Scheming princes, wicked witches, flying pirates, celestial love, a pure-hearted hero, all in a magical land. What more do you want?" raves 'Today's' Gene Shalit for 'Stardust', an epic adventure starring Claire Danes with Michelle Pfeiffer and Robert De Niro. In hopes of wooing a beautiful girl (Sienna Miller), Tristan (Charlie Cox) promises to bring her a falling star. But he's in for the adventure of his life when he discovers the star is actually a celestial beauty named Yvaine (Danes). When an old witch Lamia (Pfeiffer) attempts to steal Yvaine’s youth, Tristan must protect her at all costs. This magical fairytale like no other will make you laugh out loud and believe in love again. It was time for a film I know I like to save this marathon. I saw this at the cinema and I really liked it. I first came to attention of this film when I saw the trailer and saw that Claire Danes is in it. She stars as a star . A role she plays really well. This movie also includes a hilarious supporting role for Robert De Niro and also Rick Gervais has a nice cameo. If you like Princess Bride, I really recommend to check out this movie. It's Schwarzenegger at his best in this classic action smash that pits a suspended FBI agent against the Mob. But once he's in, he can't get out and when a gorgeous mole is paid off to betray him, he becomes trapped in a deadly game where loyalty means nothing and there is only one person he can trust. Prepare to take no prisoners - nobody gives him a raw deal. Seems I do not have any luck with this marathon. This is a Schwarzenegger movie I had never seen before. Probably one of his most uninteresting entries into the 80's action movie genre. Admit it, you forgot to check your brain at the door... Seriously, I just watched this recently and it held up very well from what I remembered. It's still the same cheesy over the top stupid Arnie-action... Nothing to write home about, but I had 90min of fun with it. CASINO ROYALE introduces JAMES BOND before he holds his license to kill. But Bond is no less dangerous, and with two professional assassinations in quick succession, he is elevated to "00" status. "M" (Judi Dench), head of the British Secret Service, sends the newly-promoted 007 on his first mission that takes him to Madagascar, the Bahamas and eventually leads him to Montenegro to face Le Chiffre, a ruthless financier under threat from his terrorist clientele, who is attempting to restore his funds in a high-stakes poker game at the Casino Royale. "M" places Bond under the watchful eye of the Treasury official Vesper Lynd. At first skeptical of what value Vesper can provide, Bond's interest in her deepens as they brave danger together. Le Chiffre's cunning and cruelty come to bear on them both in a way Bond could never imagine, and he learns his most important lesson: Trust no one. I have mixed feelings about this movie. One the one hand, I like the portrayal of the new bond and I like the direction they were going with the character. But on the other hand the main plot leaves a lot to be desired in my opinion. The first half an hour, Bond was chasing some guy for whatever reasons (apparently it was a bomb maker), which got him into trouble with M because he killed that guy on the ground of an embassy. Then after some investigations he goes Poker playing. Seems the bad guy needs money and his plan is to win at a Poker game. First Bond looses and almost dies because of poisoning. Then all of a sudden he gets another shot at the game (I am not a Poker player, but I thought the aim in Hold 'em is to get the other guys terminated. How can you join again, when you have lost all in an "All In"? Or did I miss something and it was a new game? Finally he has won the money. The bad guy is not happy and is now after Bond because of it. After this is done, Bond decides that he is now in love with the girl he was with at the Poker game all of a sudden. Bond resigns from MI6 to be with this girl. But then she deceives him with the Poker money because she needs it for the ransom for her boyfriend. Bond is now bitter and it seems now that this is the reason the filmmakers want us to give for why Bond never gets close to the Bond girls. Final thought: The new Bond (character) has some promise if the scriptwriting gets better with the next movies. Only three days before their high school festival, guitarist Kei (Yuu Kashii), drummer Kyoko (Aki Maeda of 'Battle Royale'), and bassist Nozumi (Shiori Sekine) are forced to recruit a new lead vocalist for their band. They choose Korean exchange student Son (Doona Bae of 'Sympathy for Mr. Vengeance'), though her comprehension of Japanese is a bit rough! This is far from a cinematic masterpiece, but I enjoyed this movie. It has a realistic feel to it. It is about a bunch of girls who are participating in an high school event as a rock band. In the beginning they are much in need of practice but improve over the course of the movie with a lot of practice. The most fun part is the Korean exchange student they asked to be the singer as they were short of a vocalist. I found the interaction of the Korean girl with the others somehow hilarious. What I always find amazing is, that when I watch Japanese live-action movies set in high schools, how much the environment and school events matches those in animes. This is what makes animes so good, as they often portray stuff as it were live-action. Also a lot of familiar faces from movies like Death Note, Battle Royale and Sympathy for Mr. Vengeance. That looks good fun! Bit of a School of Rock setup? Not really. It is much more a straight-forward school slice-of-live story. 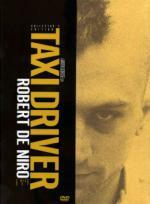 Nominated for four 1976 Academy Awards® (including Best Picture), 'TAXI DRIVER' stars 'Robert De Niro', and chronicles the mental deterioration of a man driven to violence by loneliness and desperation. Powered by an evocative score and featuring stellar performances by 'Jodie Foster', 'Albert Brooks', 'Harvey Keitel', 'Peter Boyle', and 'Cybill Shepherd', this 2-Disc Set, which includes new special features, is the ultimate Collector's Edition of this legendary classic. First time I have seen this supposed classic. Not a bad movie. It will probably never get into my top favorite movies but it was rather entertaining. "Rather entertaining"? You sure you watched the right movie, Tom? It's supposed to represent a descent into hell so I found your reaction funny! You also said you weren't familiar with Robert De Niro's early work. Surely you've seen Godfather Part II? Surely you've seen Godfather Part II? Tom, you really should put that right!